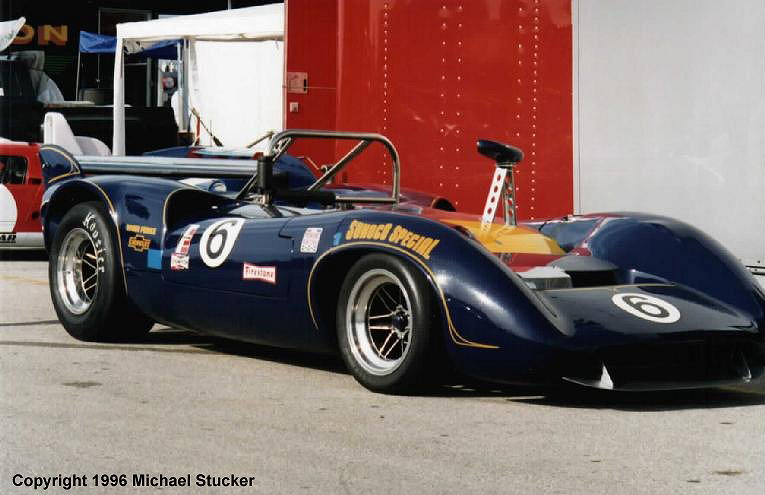 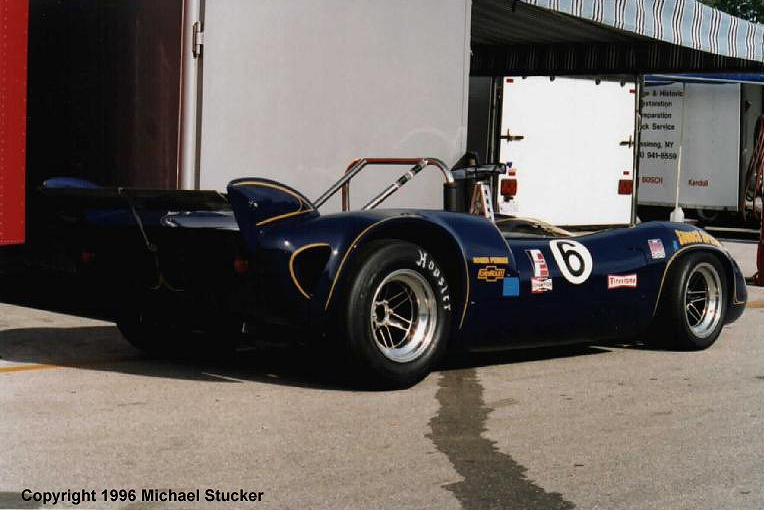 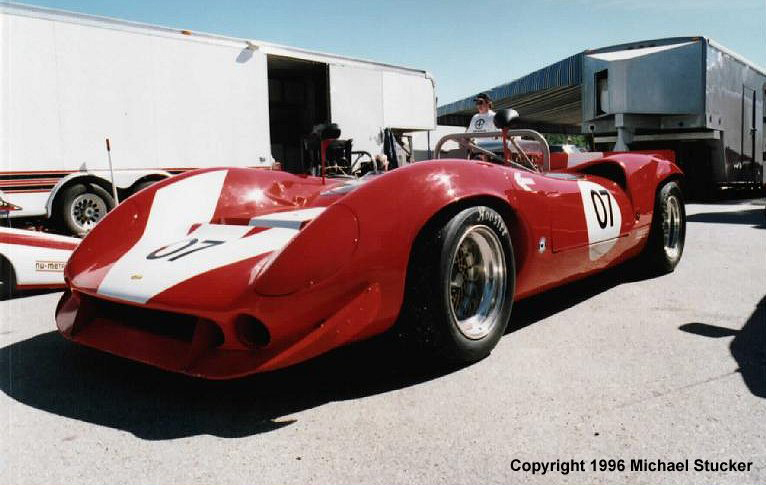 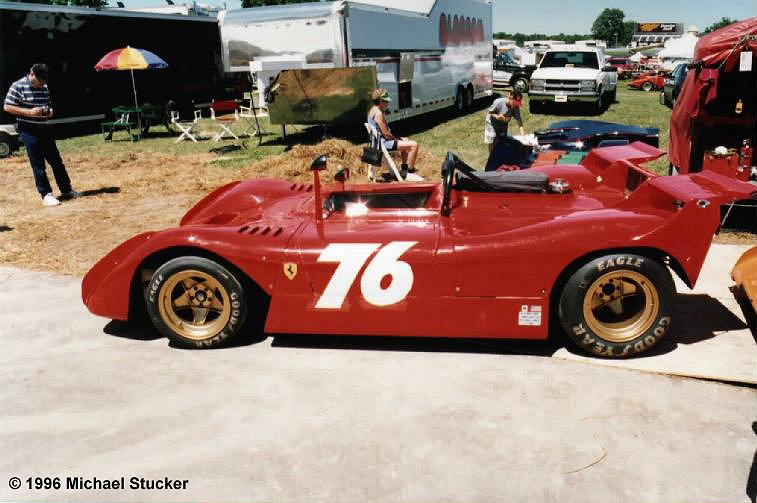 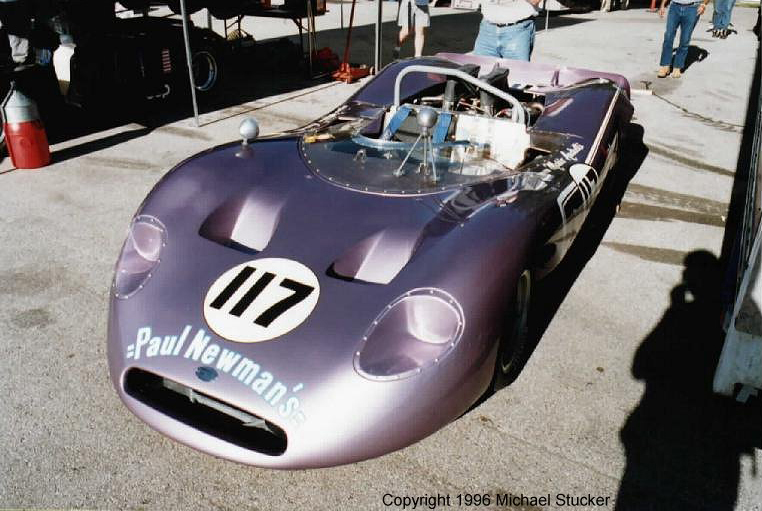 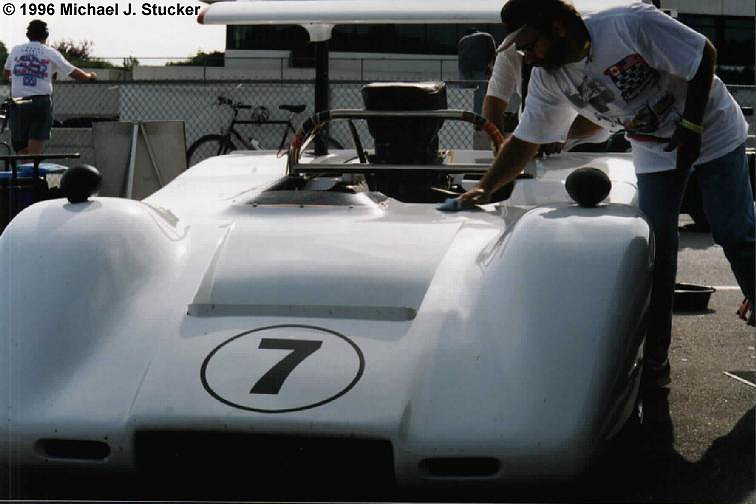 The Canadian-American Challenge Cup racing series for FIA Group 7 sportscars began in 1966. 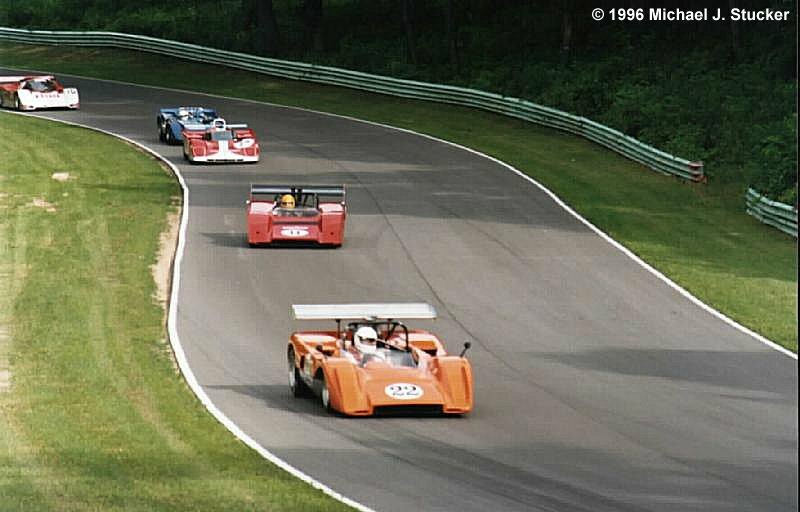 In 1974 it ended. 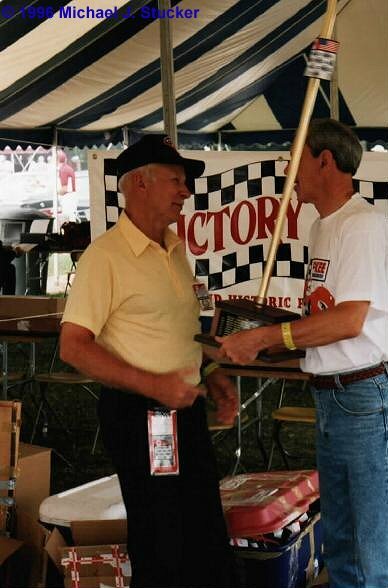 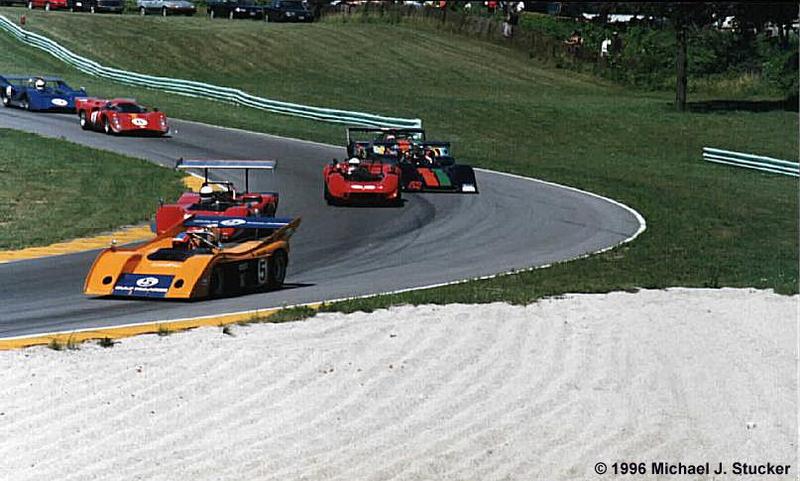 In between, some of the greatest drivers and racing cars in the sport’s history participated in the series. 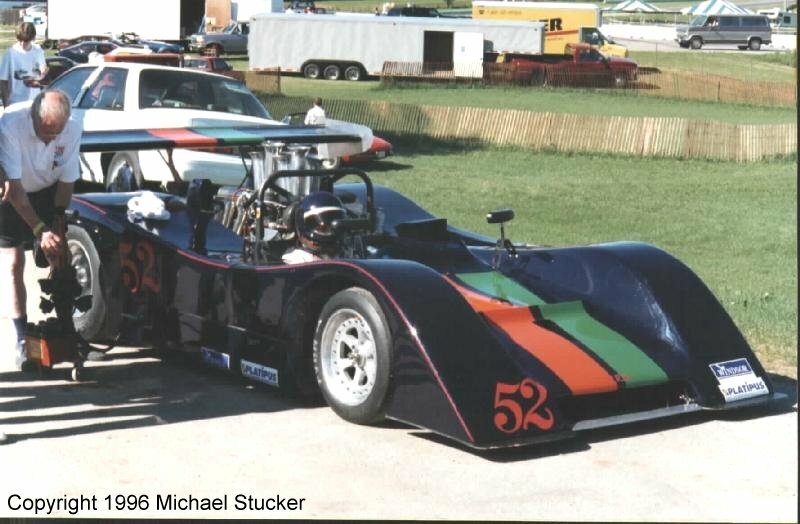 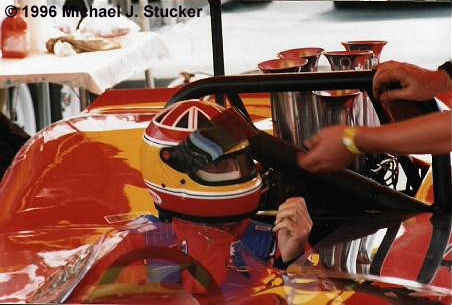 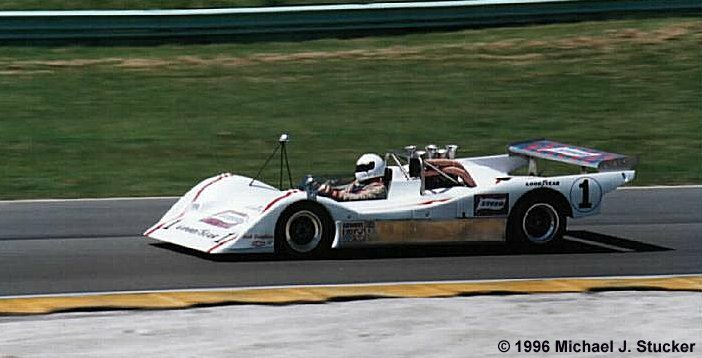 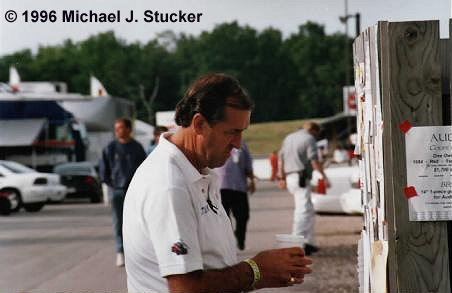 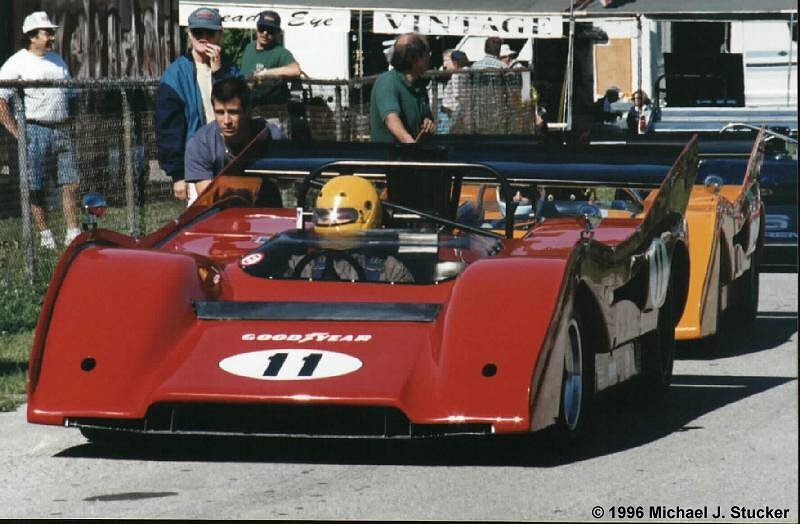 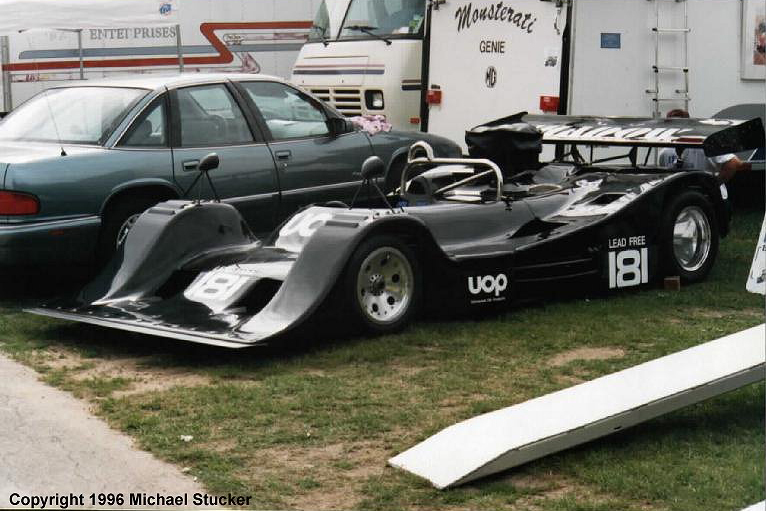 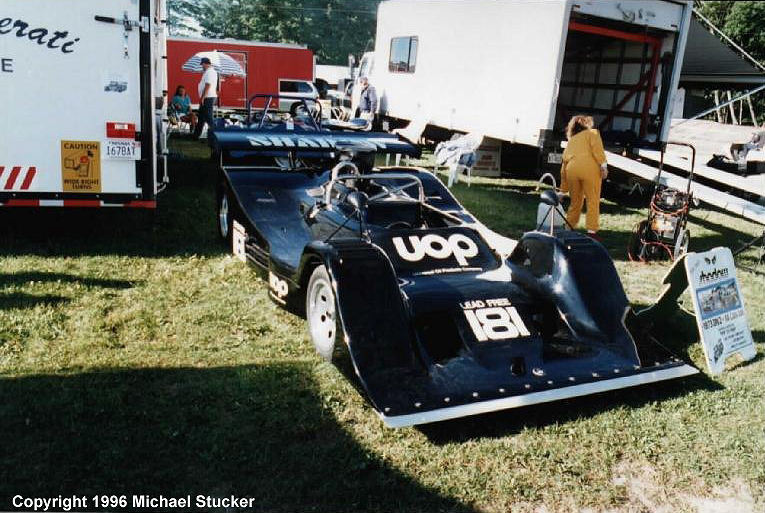 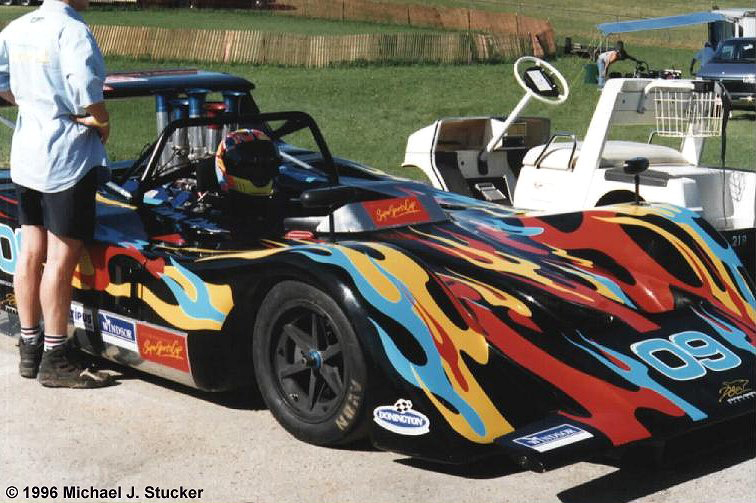 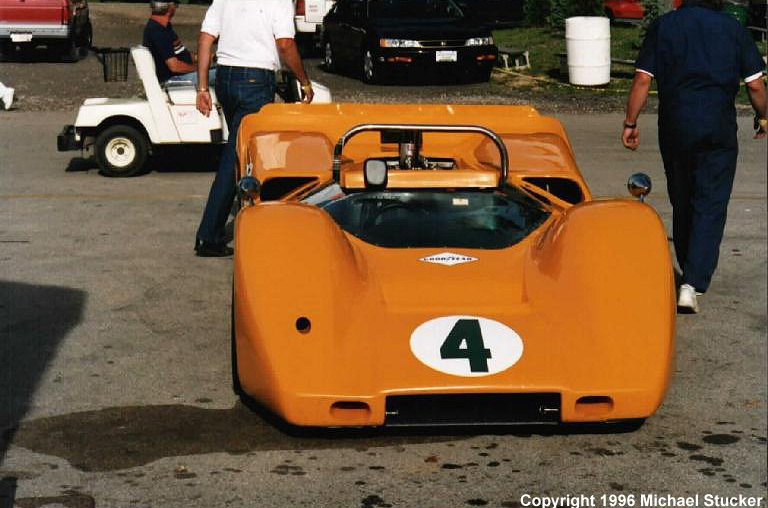 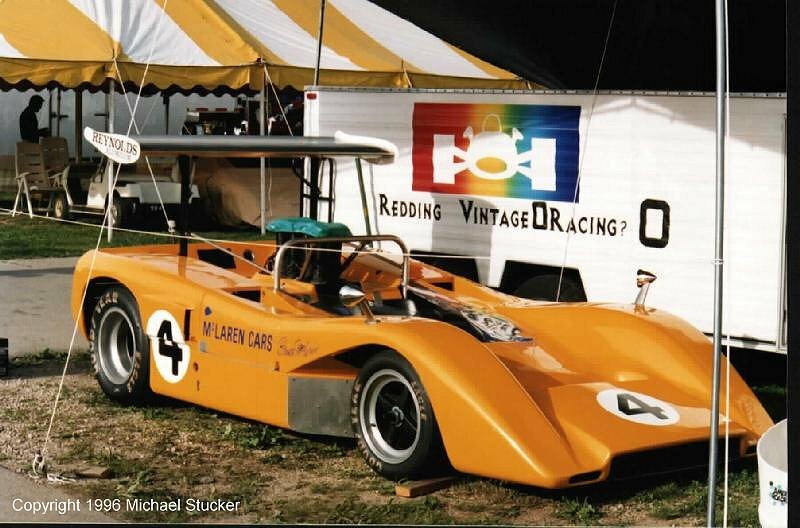 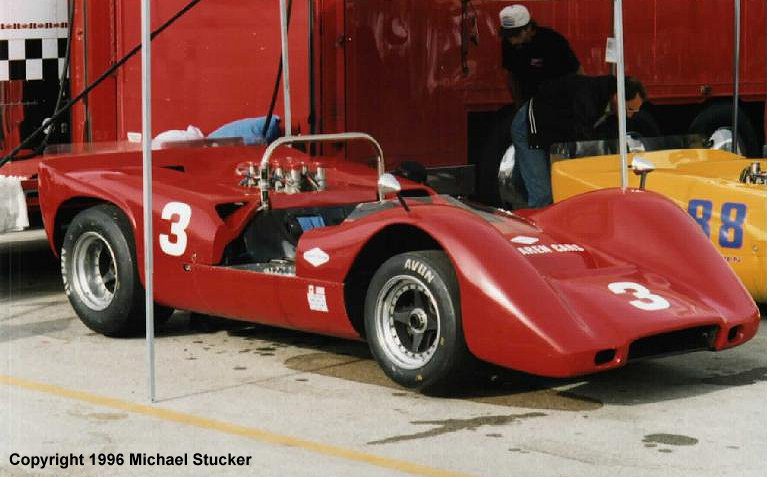 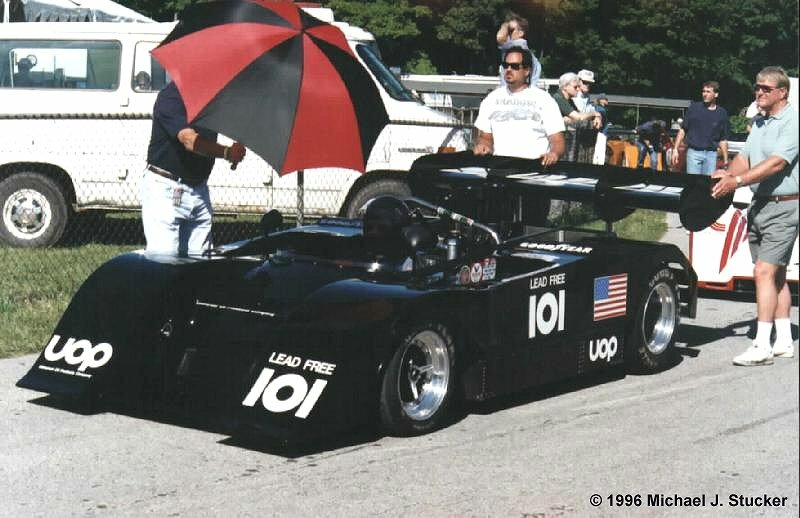 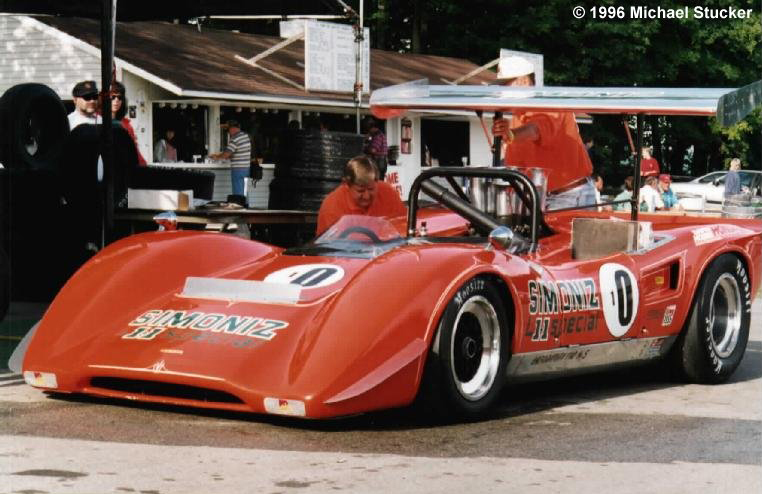 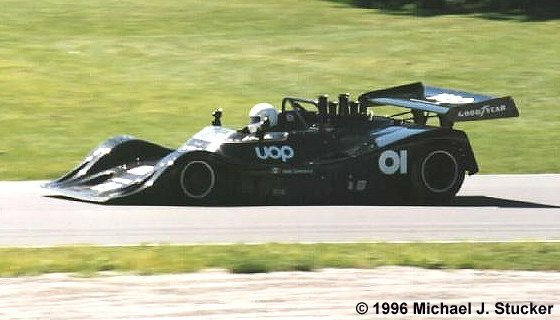 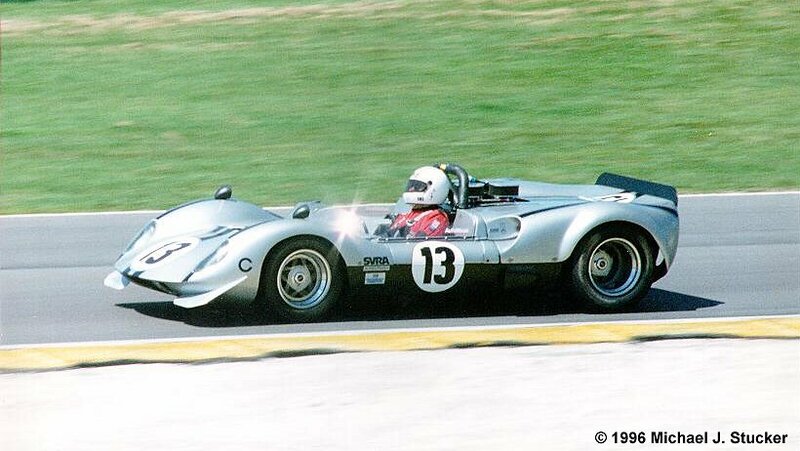 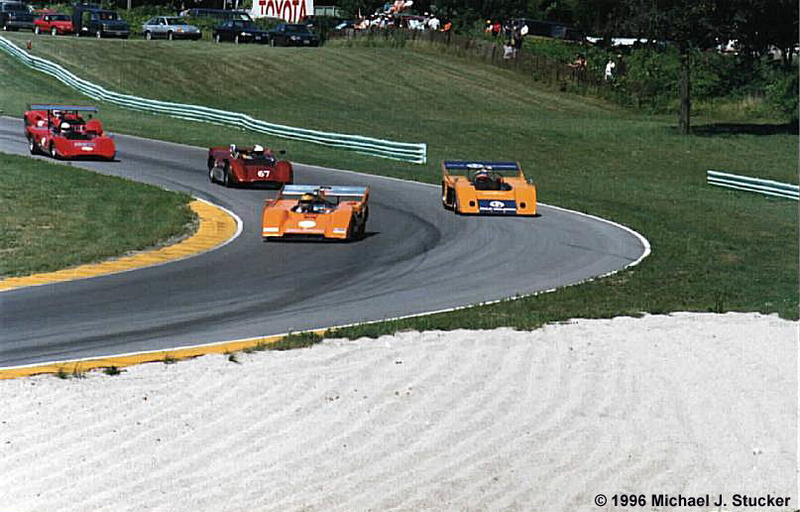 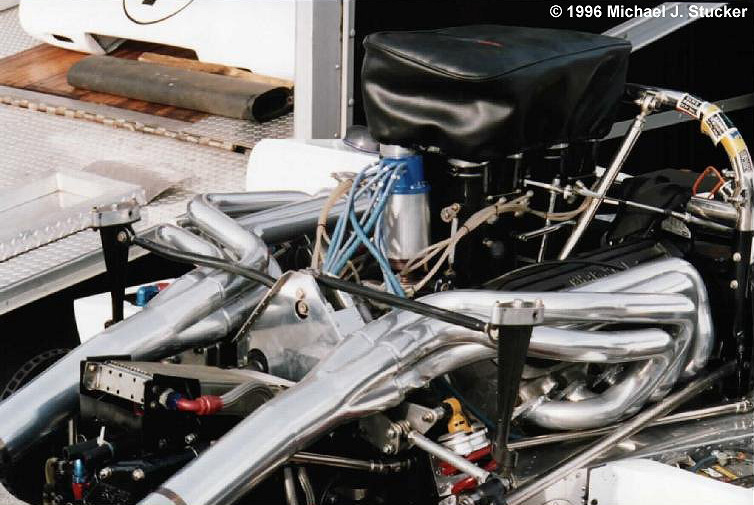 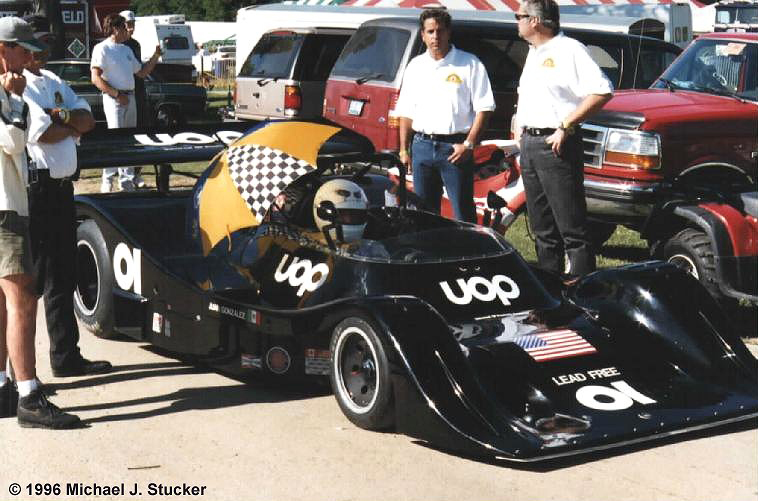 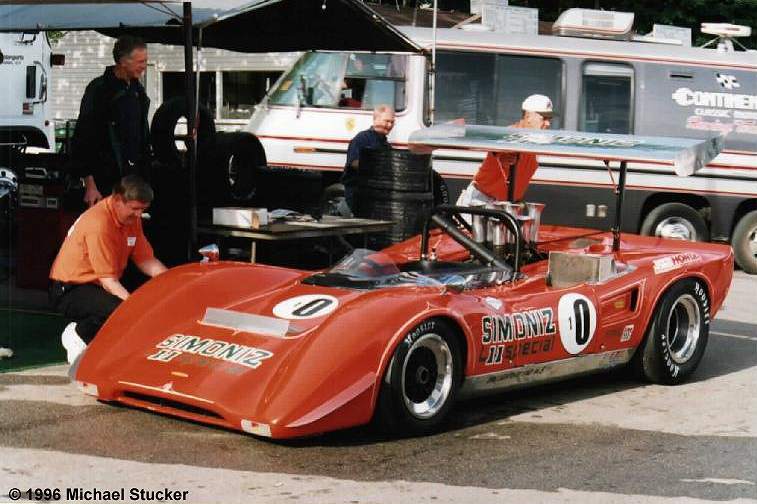 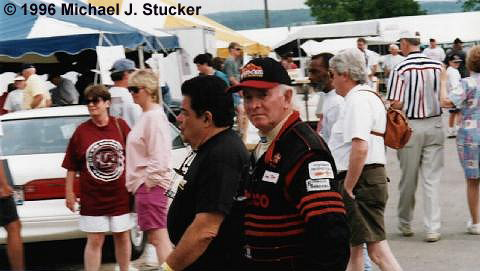 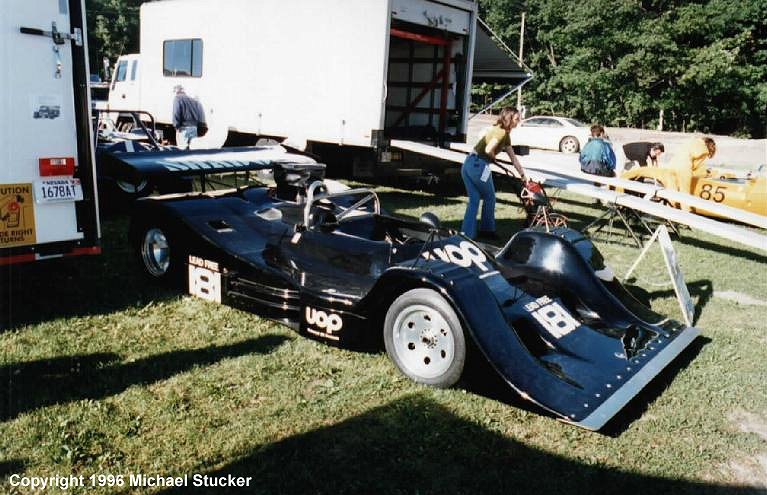 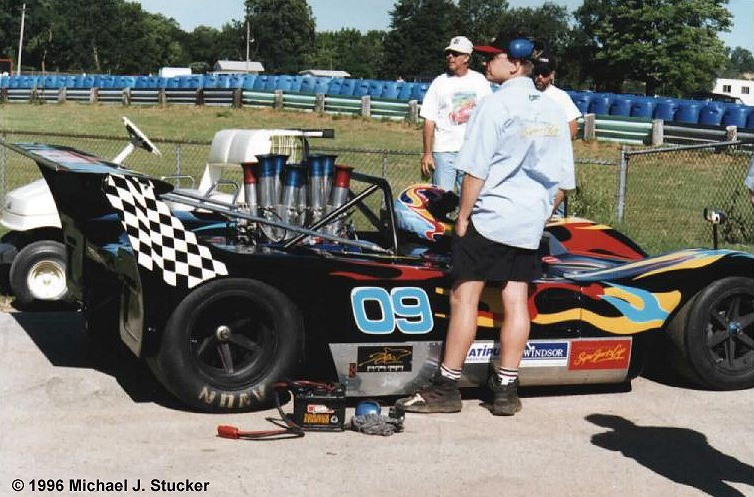 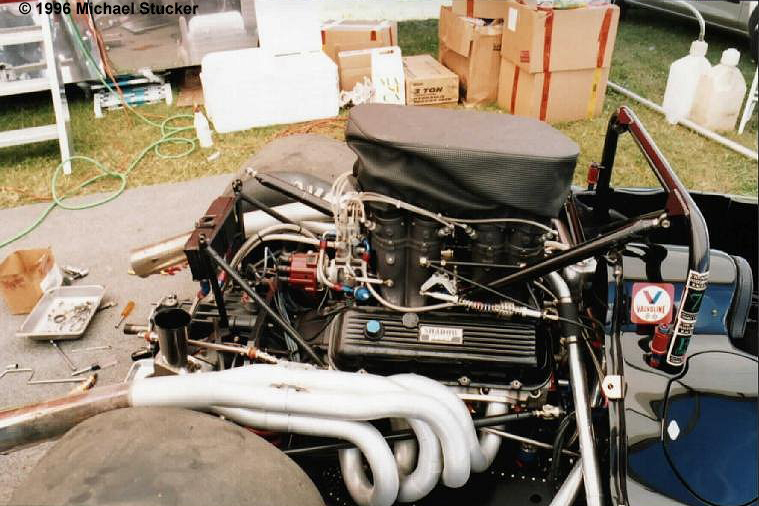 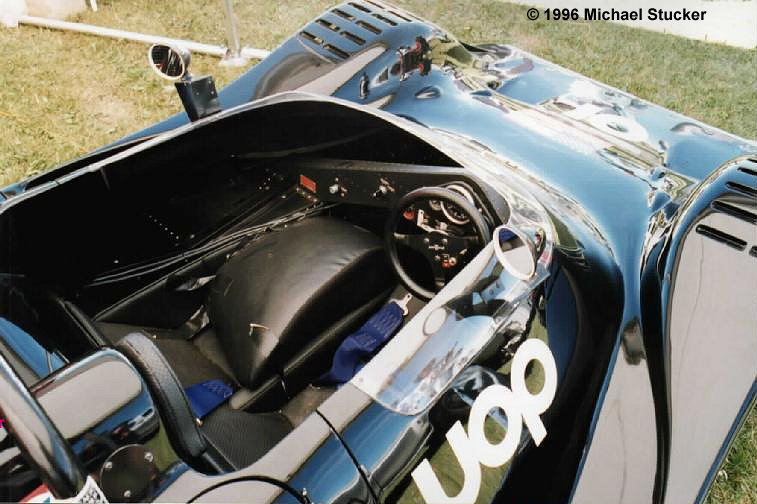 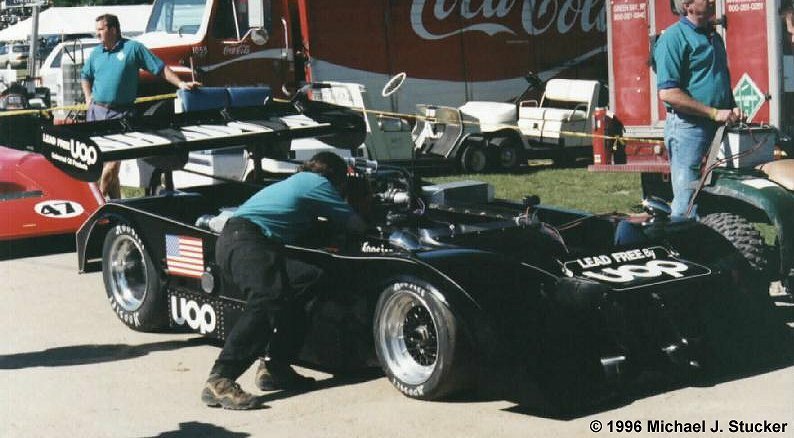 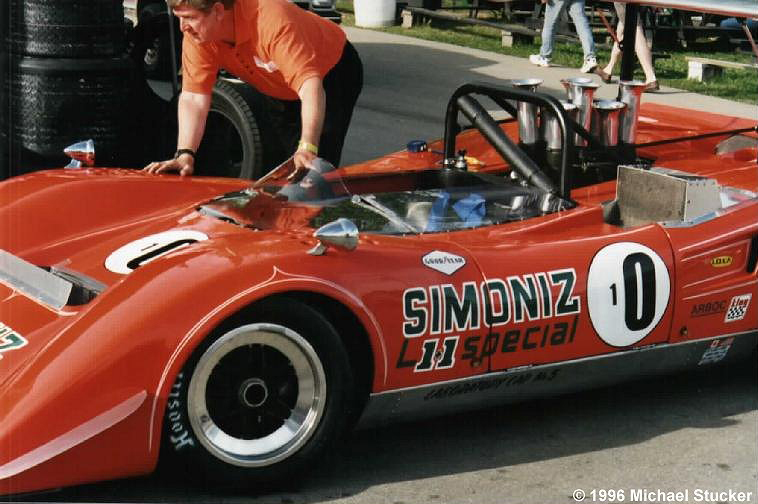 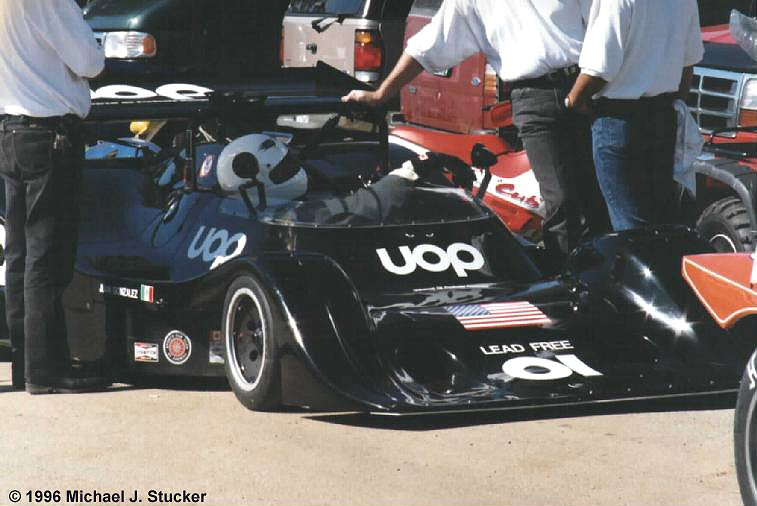 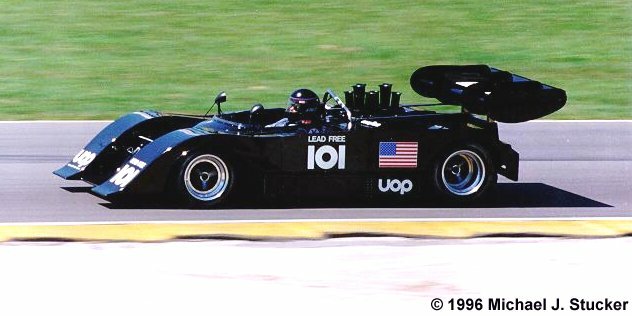 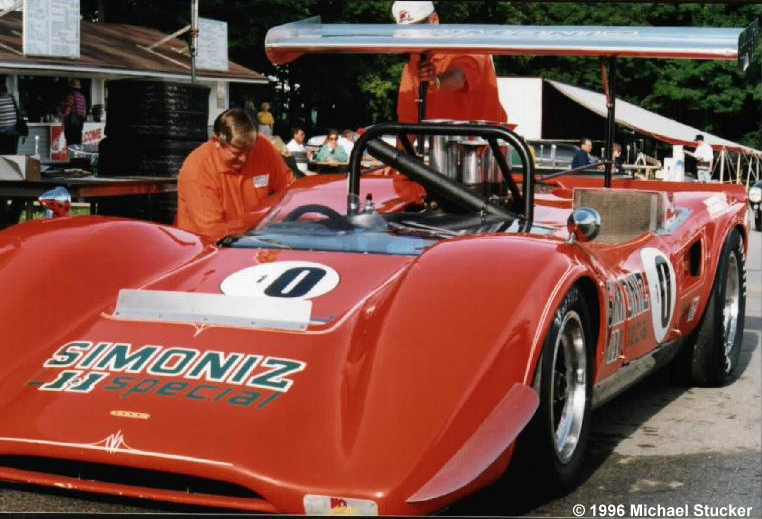 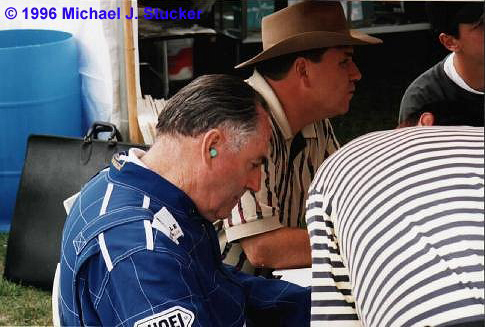 In July, 1996, to celebrate the Can-Am’s 30th anniversary, many of those cars and drivers gathered together during the Merrill Lynch/Brian Redman International Challenge at the Road America race track in Elkhart Lake, Wisconsin. 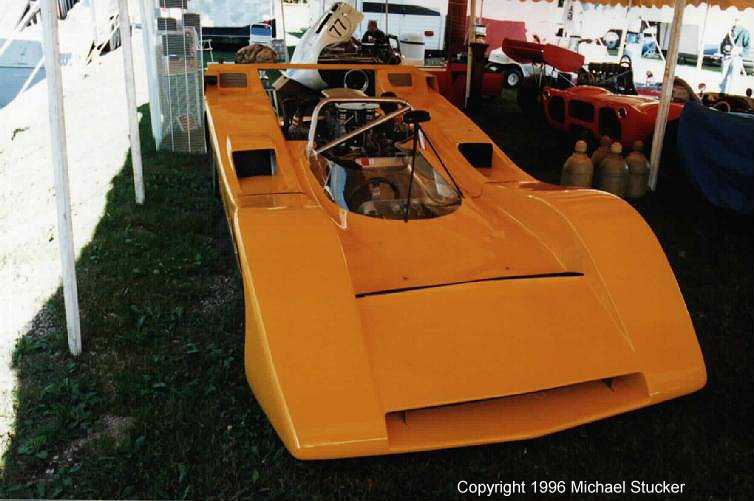 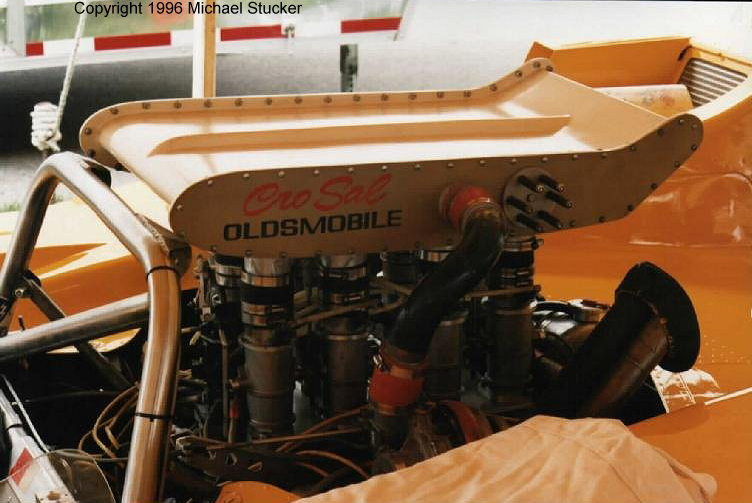 This section contains photos of some of the cars that took part in the 30th Anniversary Can-Am Reunion. 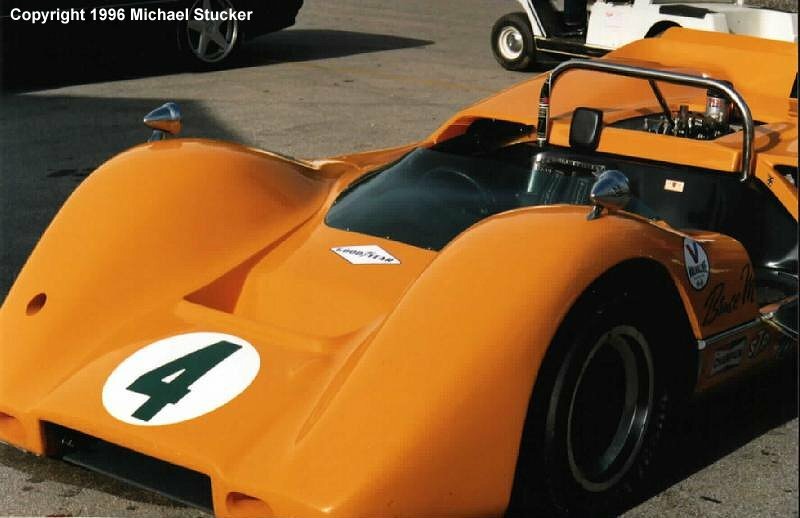 Unfortunately, two of the most famous makes to race in the Can-Am were not properly represented. 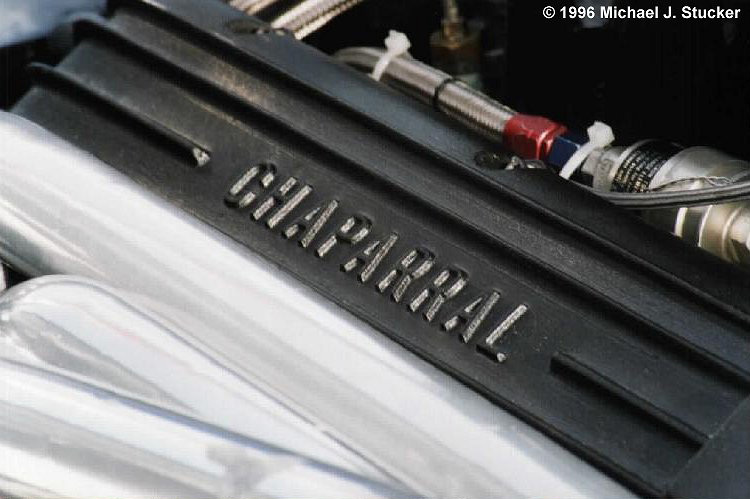 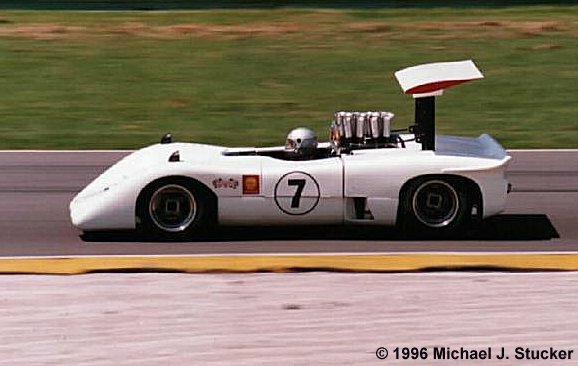 One was Chaparral. 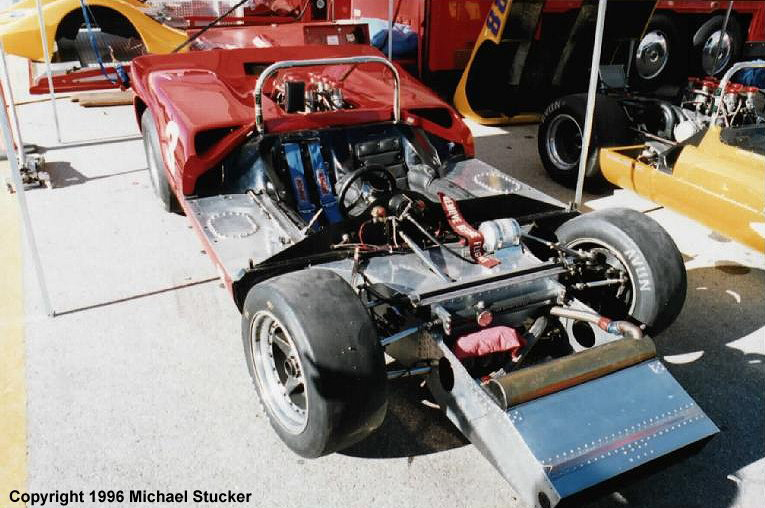 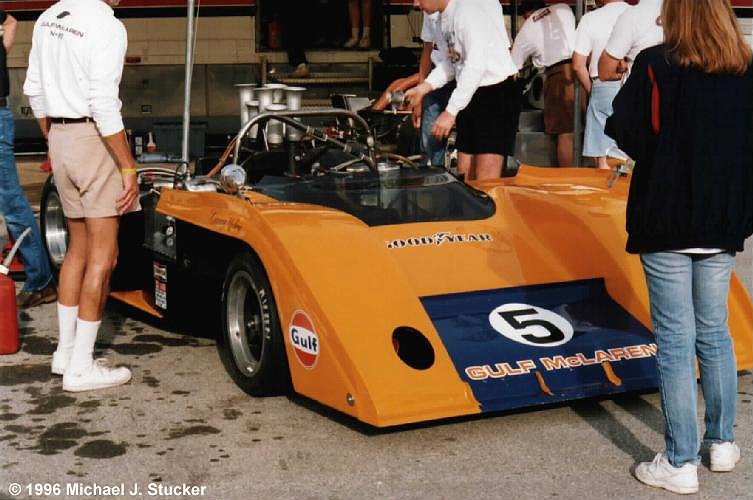 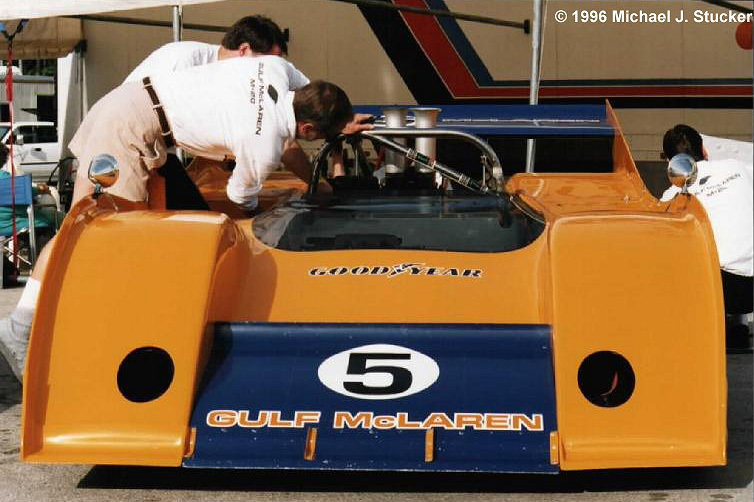 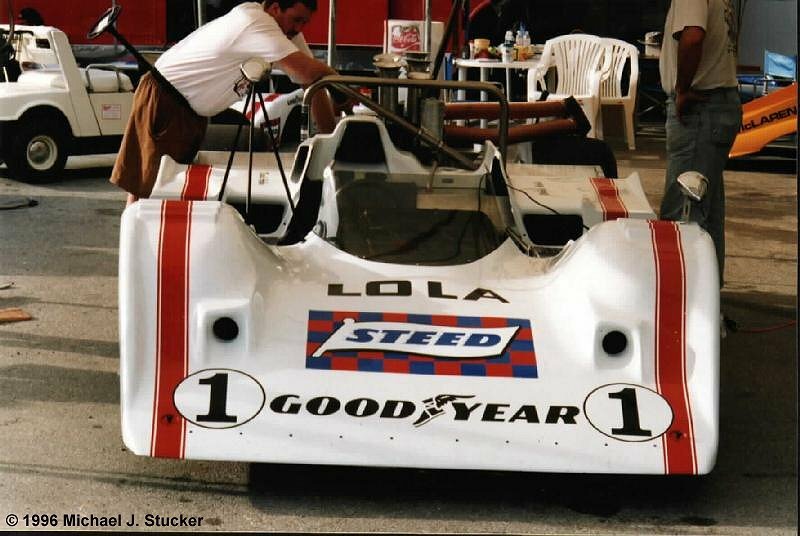 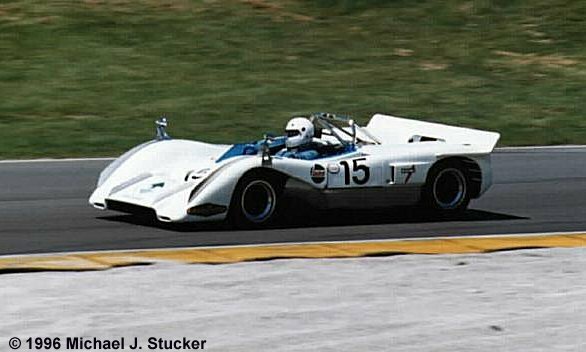 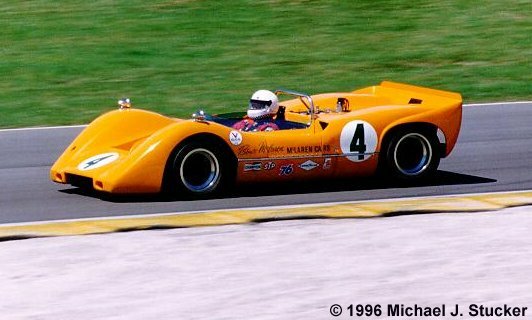 None of Jim Hall’s Chaparral chassis appeared, although the Mclaren M12 he fielded for part of the 1969 season did. 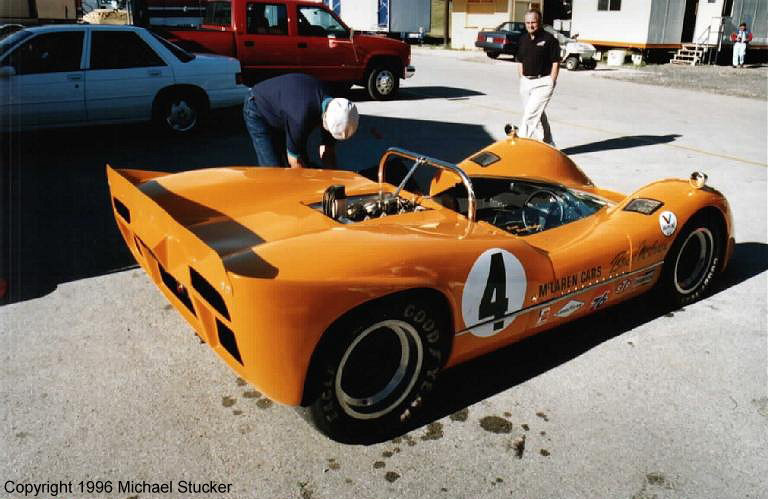 The other was Porsche. 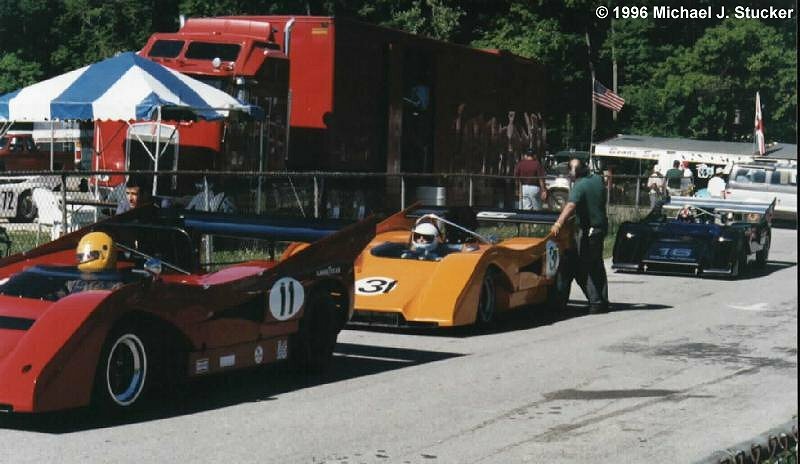 There were several Porsches present for the International Challenge but no Can-Am cars. 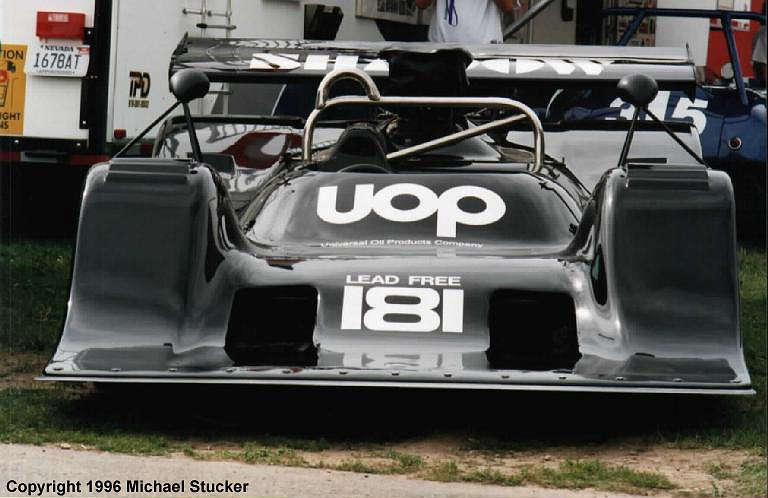 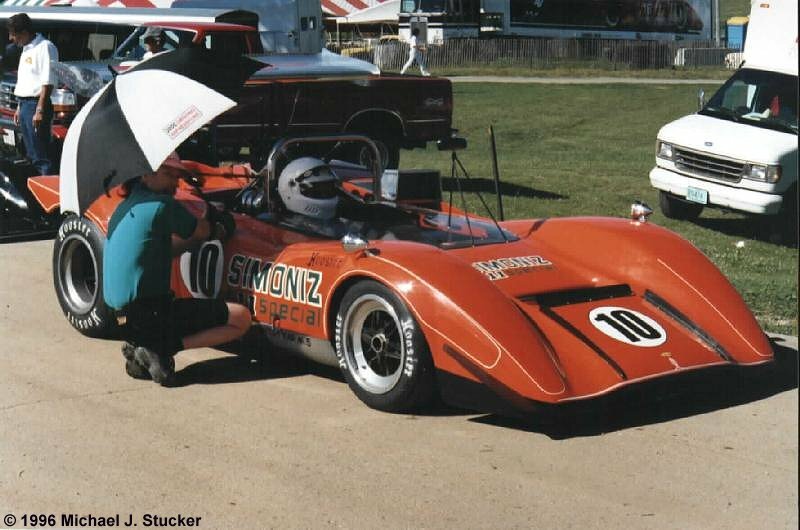 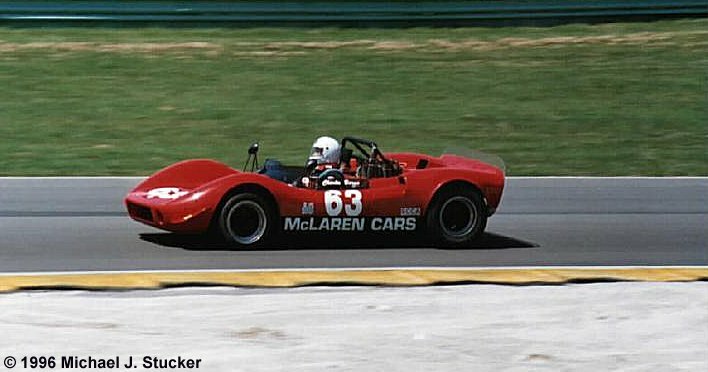 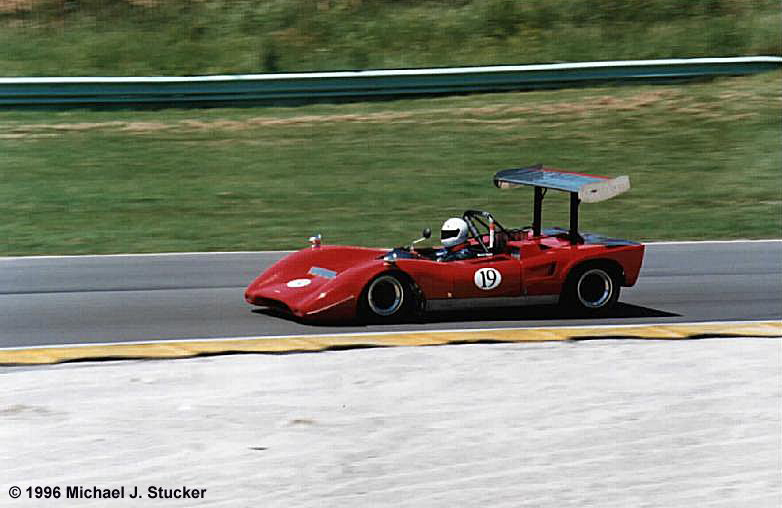 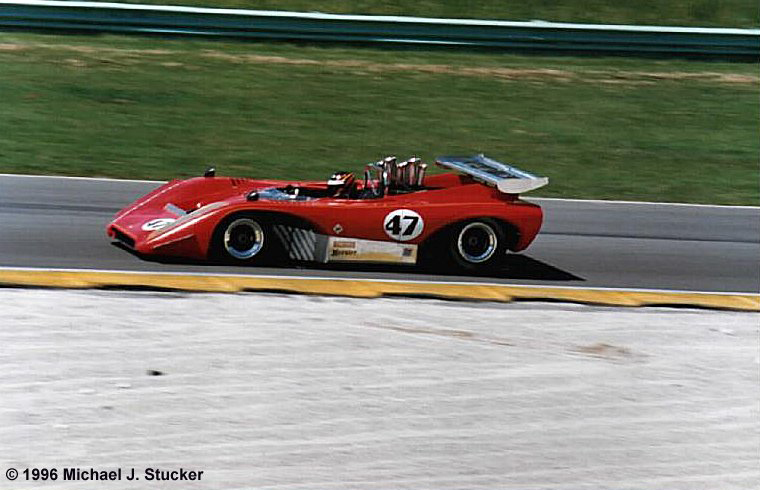 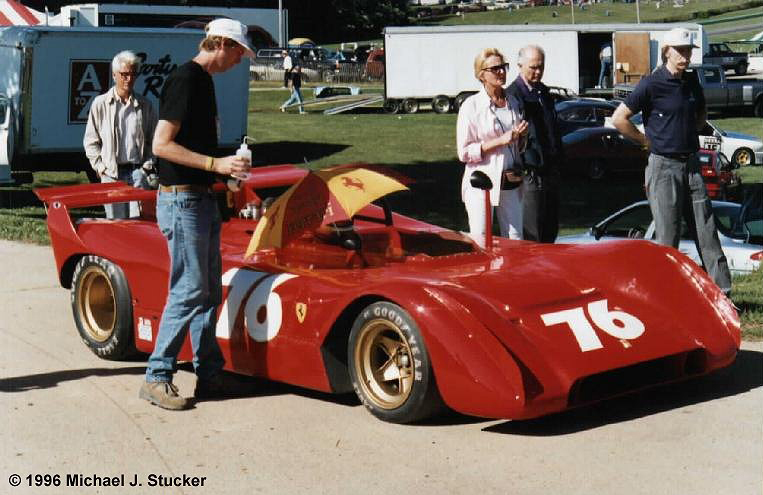 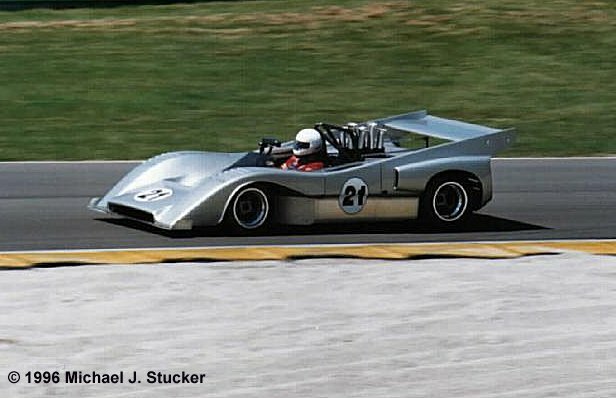 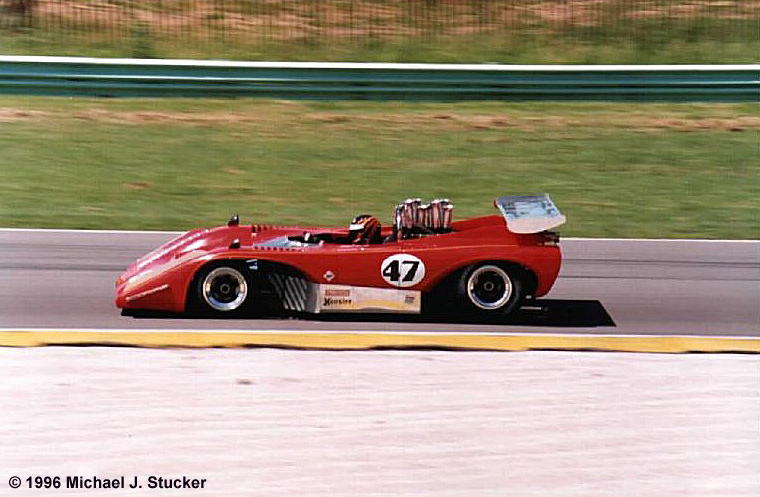 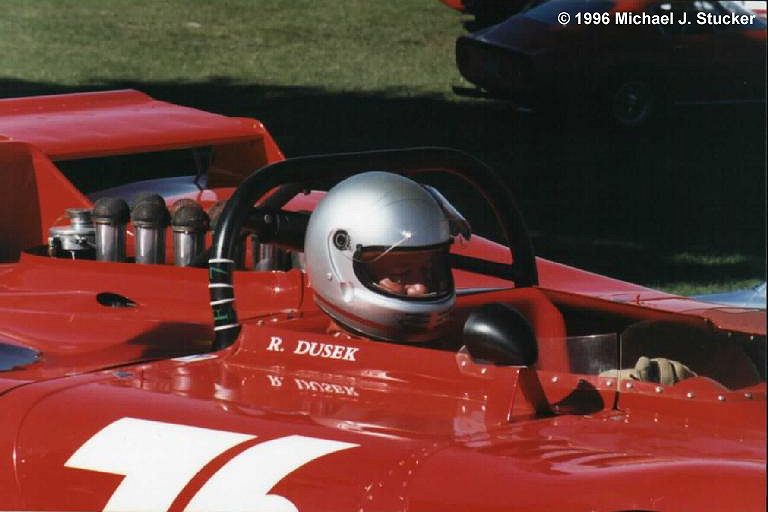 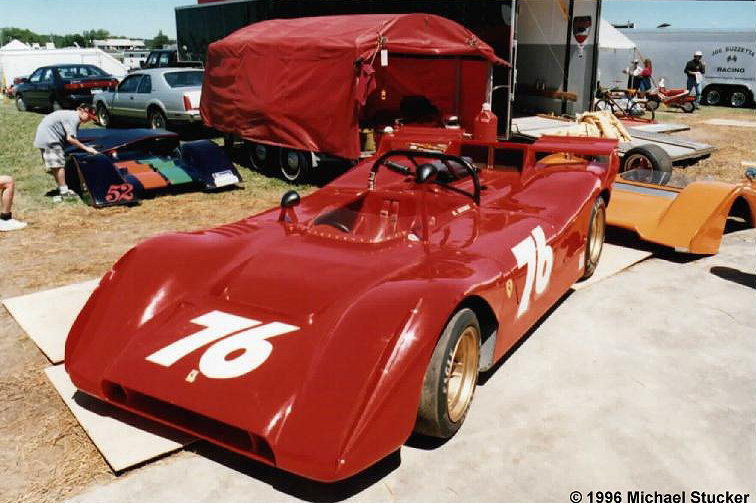 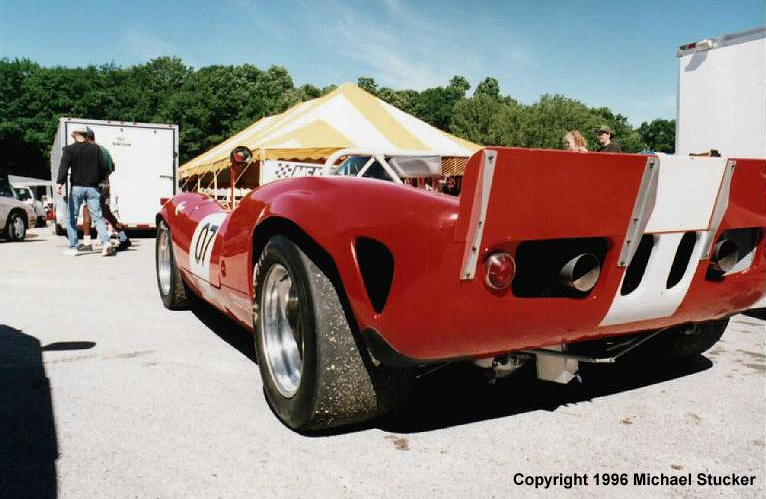 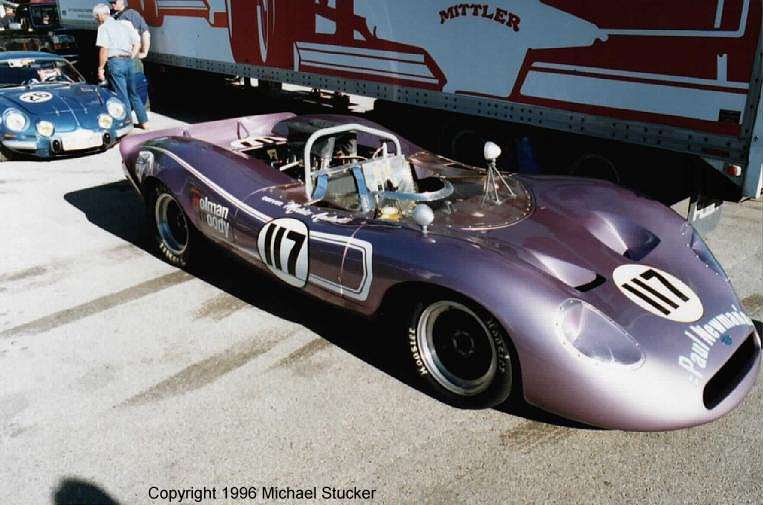 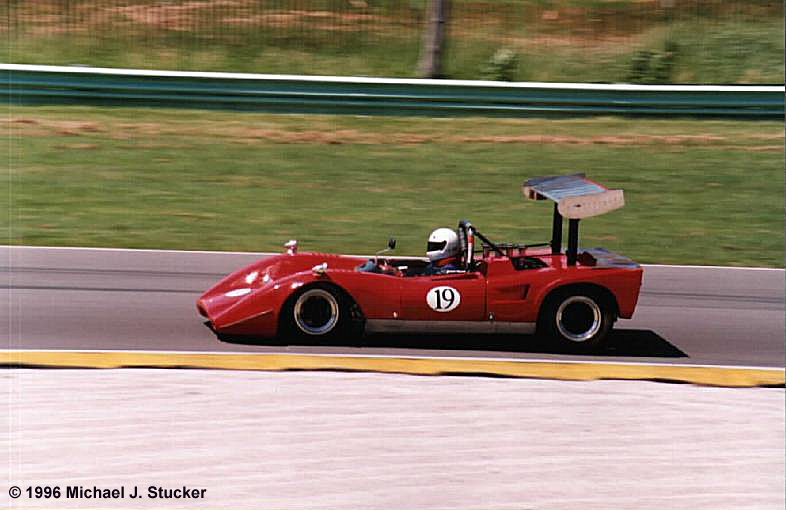 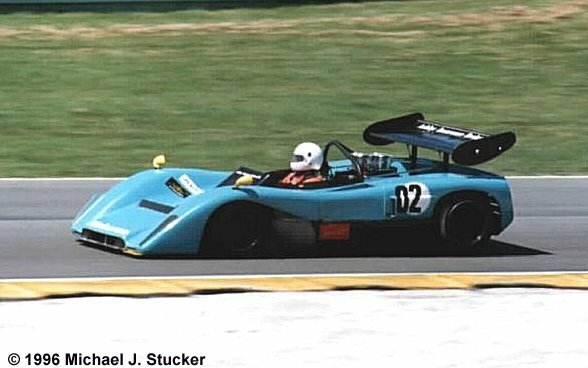 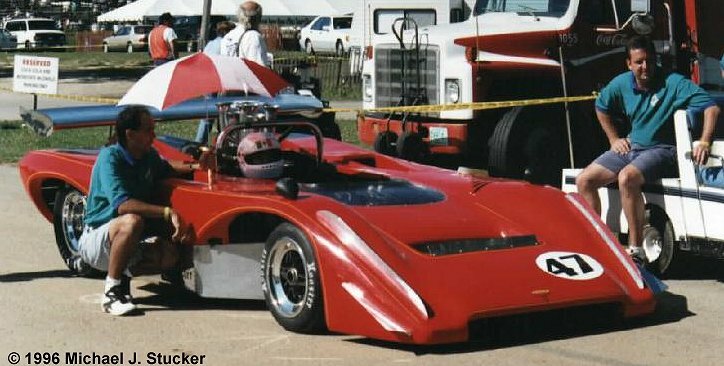 The closest was a 917 spyder (a coupe with the roof removed) that raced in the Interseries, a German version of the Can-Am. 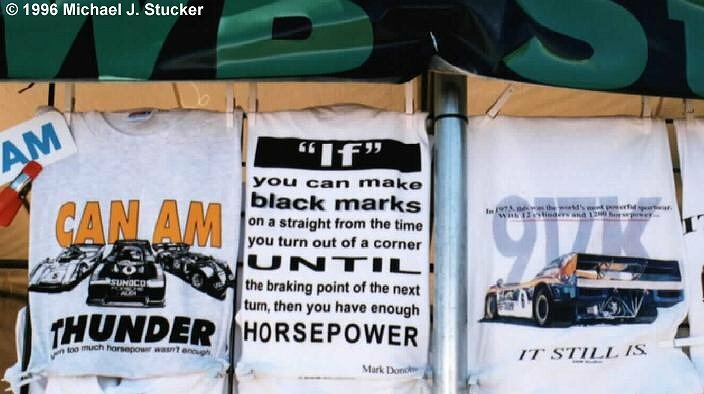 The shirts are available from SWB Studios.